The West Chester Bluebirds have signed former Temple Owl’s punter George Radu and Lincoln Lions lineman Tyreese Green for the 2016 season. Radu punted for the Owls’ in the 1999 and 2000 seasons where he averaged 36.6 yards per punt, he also holds a team record 12 punts in one game. Since leaving Temple, Radu has become a successful kicking coach. 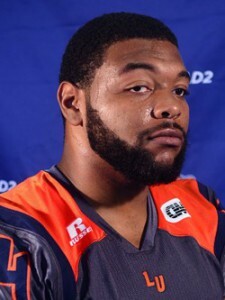 The Bluebirds have also added offensive lineman Tyreese Green who recently finished his collegiate career at The Lincoln University. Green, a former Old Spice Player of the Year during his high school career, will add size to the Bluebirds’ offensive line. On Monday the 11th, Bluebirds’ wide receiver Chris Roach underwent successful surgery to repair a rotator cuff. He has been added to the team’s inured list, and will serve as an assistant offensive coach. The Bluebirds will begin their inaugural season as members of the East Coast Football Association (www.ecfafootball.net) on February 27th hosting the Hanover Rhinos of the Atlantic Football Association in non-league play at O’Shields-Stevenson Stadium. For more information, visit www.westchesterbluebirds.com, follow the team on Facebook or Twitter @WCBluebirds.